Turns out, it was Showtime ... for "The Special One," Kell Brook. In a minor upset, Britain's Kell Brook (33-0, 22 KOs), of Sheffield, England, won a battle of undefeated welterweights and the IBF world title with a majority 12-round decision over defending champion "Showtime" Shawn Porter (24-1-1, 15 KOs), of Cleveland, Ohio, Saturday on SHOWTIME from StubHub Center in Carson, Calif.
Brook, fighting in his first world championship match and making only his second start in the United States, won by the scores of 117-111, 116-112 and 114-114. There were no knockdowns. 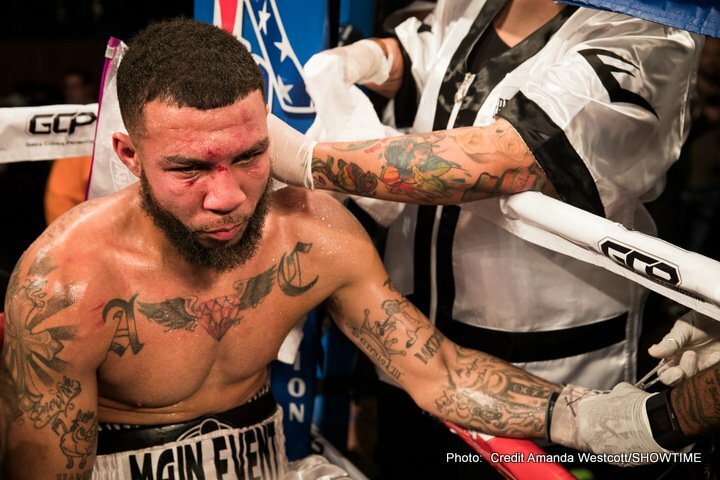 Unbeaten Anthony "The Dog'' Dirrell (27-0-1, 22 KOs), of Flint, Mich., became the second cancer survivor and 55th alum of ShoBox: The New Generation to capture a world title when he out-mauled, out-brawled and unanimously outpointed defending champion Sakio "The Scorpion" Bika (32-5-3, 21 KOs), of Sydney, Australia, to take the WBC Super Middleweight World Title in a grudge rematch. In the opening bout of the SHOWTIME telecast, undefeated Omar "Panterita" Figueroa Jr. (23-0-1, 18 KOs), of Weslaco, Texas, successfully retained his WBC Lightweight World Championship with an exciting ninth-round knockout over determined mandatory challenger Daniel "Tremendo" Estrada (32-3-1, 24 KOs), of Mexico City. 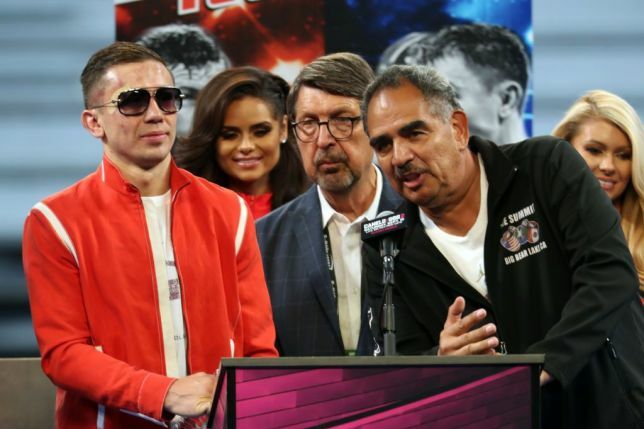 A crowd of 7,025 turned out for the Golden Boy Promotions' fight card, including a Who's Who of boxing greats such as Marcos "El Chino" Maidana, Juan Manuel "Dinamita" Marquez, Unified Super Lightweight World Champion Danny "Swift" Garcia, Interim WBA Welterweight Champion Keith "One Time" Thurman, WBC Super Bantamweight Champion Leo "Terremoto" Santa Cruz, Forner WBC Welterweight Champion Andre "The Beast" Berto, Former WBC Continental Americas and the NABF Welterweight Champion Jesus "Renuente" Soto Karass former interim WBO Light Middleweight Champion Alfredo "El Perro" Angulo and Former WBC and IBF Light Welterweight Champion and former IBF Welterweight Champion Devon Alexander "The Great". 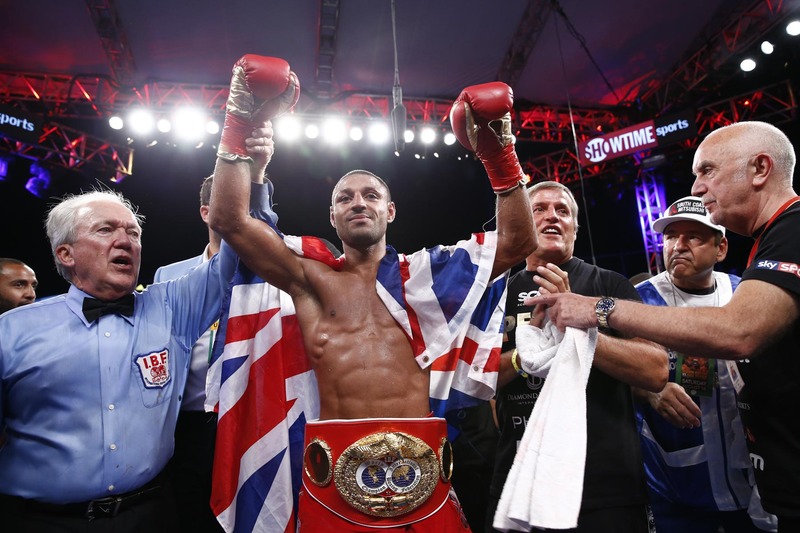 For Brook, this opportunity at a world title was a long time coming. 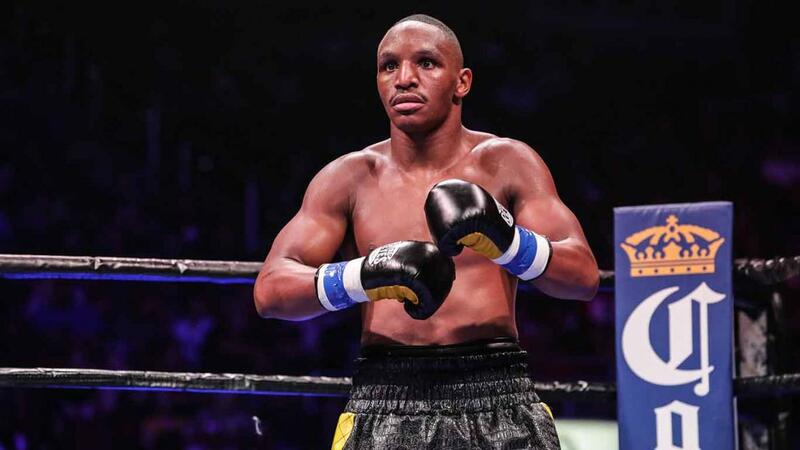 Three times he was scheduled to challenge then-IBF welterweight world champion Devon Alexander and three times a fight was cancelled due to injuries to both boxers. Injury-free, confident and determined to make the most of his shot on Saturday, Brook fought perhaps the fight of his life. "You can tell how much it means to me by my reaction,'' said Brook, who was cut over the left eye in the second round. "I've been dreaming about this moment since I was nine-years old. It's unbelievable. "I was scrappy tonight, and not as slick as I wanted to be. But I'm the world champion now, baby. I was born to do this. "I'm ready for a mega, mega fight next. I'll take on Keith Thurman or Floyd Mayweather. Amir Khan should get in queue now. 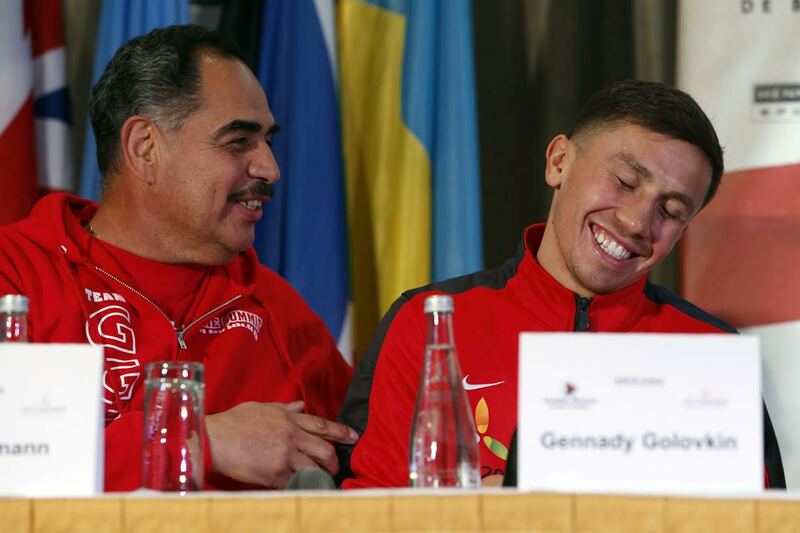 I'm the world champion now so they're all going to want to fight me." Porter, a former U.S. amateur standout, thought he had done enough to win his second title defense despite getting cut over his right eye in the sixth. "I think I'm still the champion,'' he said. 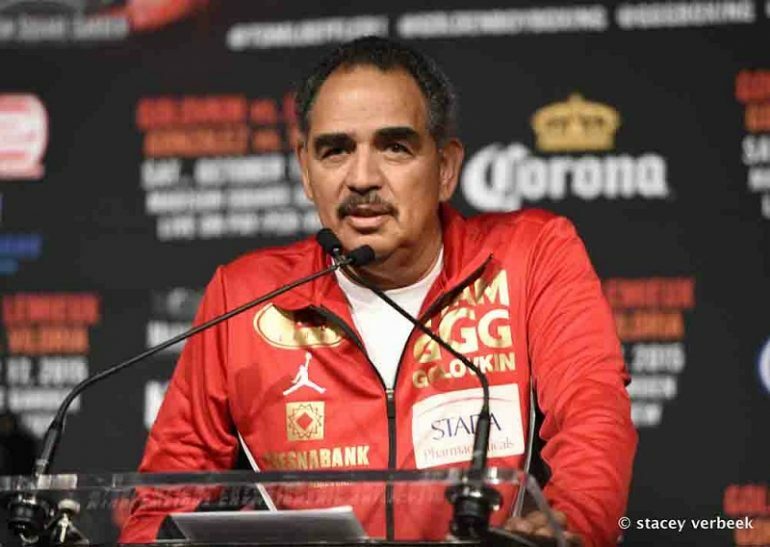 "I'm 24-1 and Team Porter will be back to the drawing board. There are no excuses. I do want the rematch." Dirrell won by the scores of 117-110, 116-111, 114-113 in a fight that, like almost every Bika fight, featured lots of takedowns, elbows, low blows, holding but mostly lots of scolding from referee Jack Reis. The fighters, particularly Bika, were warned repeatedly for illegal tactics. Reis finally deducted a point from Bika for a low blow in the eighth. Like Brook, Dirrell was overcome by emotion and cried in the ring. Figueroa, making his first title defense, was leading a fast-paced slugfest by the scores of 80-72 and 79-73 twice entering the 10th. But it was hardly a blowout. 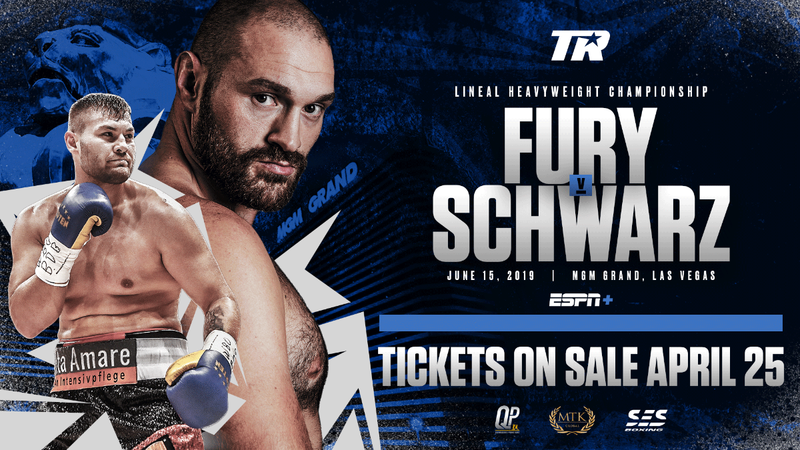 At the end of a flurry of thrilling action at the end of the third round, SHOWTIME's Mauro Ranallo said, "Tremendous action. Yes, this is a record,at the StubHub!" Early in the 10th, Figueroa landed a hard right hand that dropped Estrada. 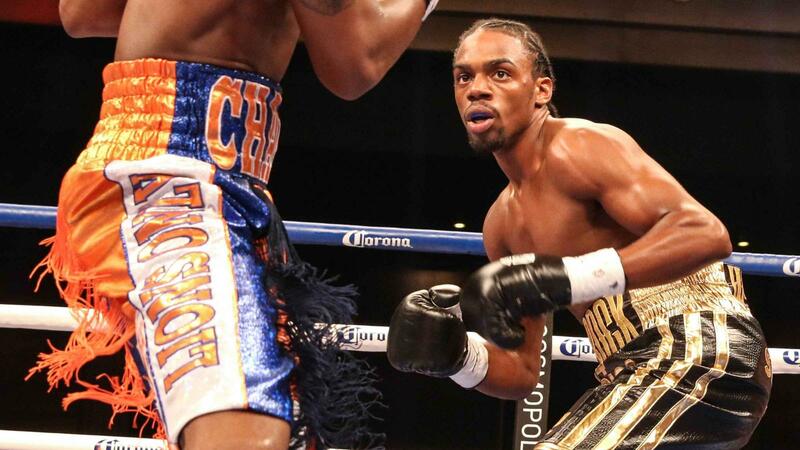 The challenger made it to his feet, but was defenseless as Figueroa continued to flail away with both hands. The referee rescued Estrada at the one-minute mark of the round. Estrada, who had a nine-fight winning streak end despite outpunching Figueroa, 557-510, was classy and appreciative afterward. Earlier on SHOWTIME EXTREME, undefeated heavyweight knockout sensation and No. 1-ranked WBC contender Deontay "The Bronze Bomber" Wilder of Tuscaloosa, Ala., improved to 32-0 with 32 knockouts with a fourth-round TKO over Jason Gavern (25-17-4, 11 KOs), of Orlando, Fla.